Honduras: beautiful beaches, exotic jungles, ancient ruins... and cheap prices! It's no surprise that backpackers and budget travelers have been flocking to this Central American country for years, and will continue to do so. Catering to the adventurous traveler on a budget, hostels have popped up all over Honduras - in every major city and tourist attraction. Here are some of the best hostels, as rated by hundreds of previous guests, in the most popular and amazing destinations around the country. Many offer great atmospheres, a fun social environment for making new friends, and very affordable prices. 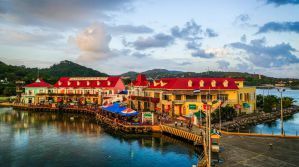 How much do hostels in Honduras cost? Located in a quiet spot of the western part of the island, this hostel continuously receives high marks from visitors for its quaint atmosphere, relaxing yet social vibe, and comfortable amenities. The pool, courtyard and surrounding jungle create a true tropical feeling around the clean dorm rooms with plenty of bathroom facilities. It's just a short and cheap bus ride to the busy areas of West End, so guests staying here are looking for something a little quieter and "homey." The staff are great at helping everyone have a good time while providing information as well as trips. Also nearby, visitors can see dolphins at the marine science center and walk to the botanical gardens. Several dive shops are also close, if you're interested in Scuba diving excursions (you're on Roatan, after all!). A shared kitchen, lockers, laundry services, hot water, Wi-Fi, and parking are also available. Dorms and private rooms (with and without ensuite bathrooms) are available at this social and relaxed hostel in a great location in the middle of town. Just a short distance from the Copan ruins as well as shops, restaurants, and bars, this is a very convenient place that also has hammocks and a game room for when you want some down time. They offer a free breakfast as well as other amenities such as Wi-Fi, lockers, laundry service, shuttle services and tour bookings, bike rental, BBQ, hot showers, coffee, and a pool table. Guest reviews state that this is a fun and social hostel that is kept clean. Staff is helpful and friendly, and will provide help with any needed service. This very clean, new, and modern hostel provides a lot of comfort for your stay in La Ceiba while you explore everything the area has to offer. Right in the middle of town, this hostel is close to shops, restaurants, bars, and everything else a traveler could need or want, and it's also in a safe part of town. But you don't even need to leave, because it's so comfortable and provides everything you would need. The fully stocked communal kitchen and relaxing common areas provide a great atmosphere to meet other travelers and plan your activities in the region. 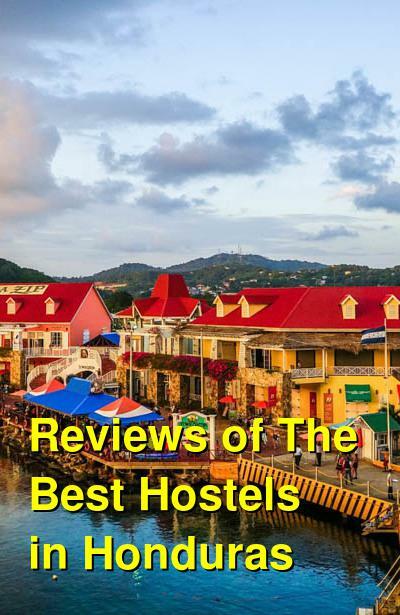 Even though it's a fairly new hostel, it has received a large number of positive reviews. In addition to the cleanliness, guests claim that the owners and staff are very helpful. The hostel also provides tours and trips to the nearby park (the main reason to visit La Ceiba), as well as canopy tours, hot springs, hiking trips, and more. The onsite bar also helps guests unwind and socialize. With dorm beds and private rooms, this fairly new hostel is located in the safe Embassy area of town surrounded by restaurants, shops, and bars. The rooms are modern and clean, as are the bathrooms. The building also has a nice terrace with hammocks and a great view. The friendly staff will help plan your activities as well as organize transportation to other locations in Honduras and beyond. The communal kitchen is available if you wish to cook, and they also offer lockers, laundry services, TVs, bike rentals, Wi-Fi, and more. Guests tend to give this place great reviews for their friendly staff, great location, clean facilities, and overall atmosphere. Close to shopping, restaurants, and nightlife, the Tamarindo hostel has been around for a while and continuously receives good reviews. With all of the typical hostel amenities such as dorm rooms and private rooms, Wi-Fi, common areas, communal kitchen, laundry, and more, guests will always be comfortable here. But in addition to all of the typical luxuries, the staff goes above and beyond to make sure that visitors are having fun, comfortable, and safe. They provide tons of information as well as book tours, buses, and activities around town or to other destinations in the region. Their terrace and sun deck, plus indoor common areas make this hostel a great place to meet other travelers, make new friends, and plan your time in S.P.S.